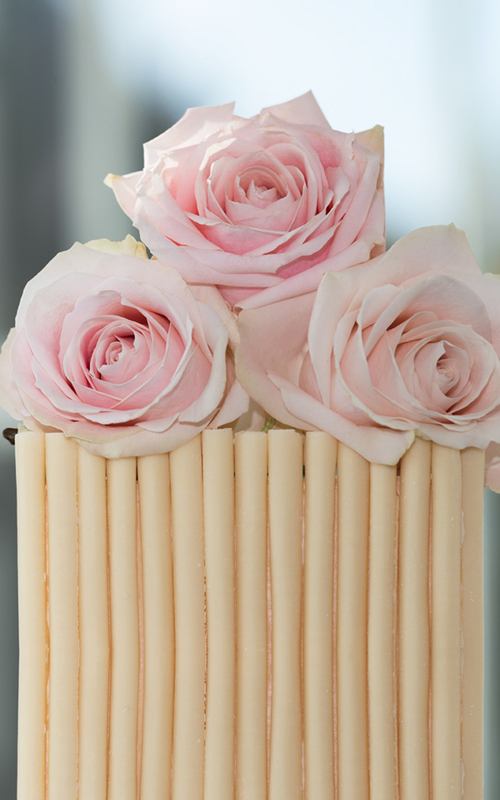 Cigarello Chocolate Wedding Cake – This timeless three tier design is the perfect cake for a chocolate lover. 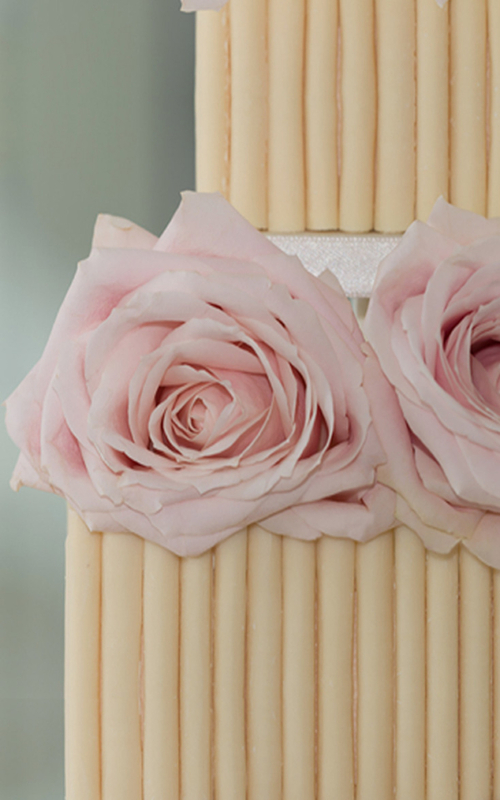 Curls of white chocolate surround the cake complete with fresh avalanche roses. 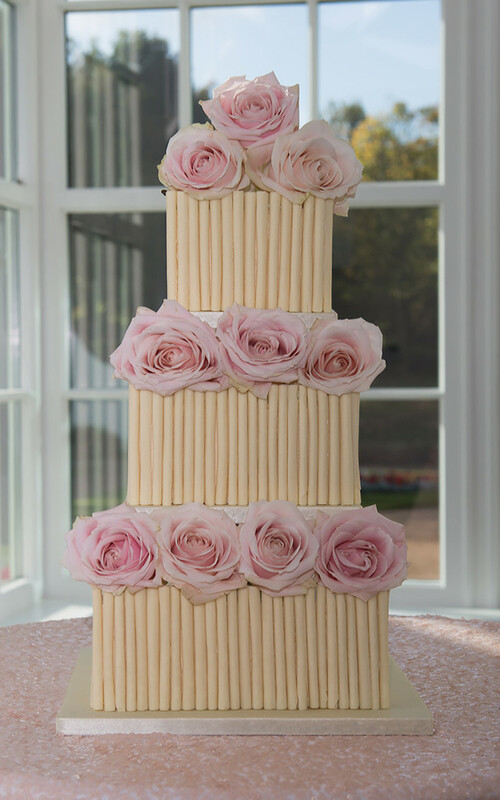 This cake is modern with its square tiers but also remains classic and elegant.